Enchanting one bedroom apartment in the best location of Gamla Stan (Old Town) close to most sightseeing and with fine views over Old Town’s ridges. The apartment is fully equipped with a double bed as well as a sofa bed in the living room. The bathroom has a bathtub. Recommended! We meet you in the apartment on arrival and show how everything works. And we are in place if questions arise. 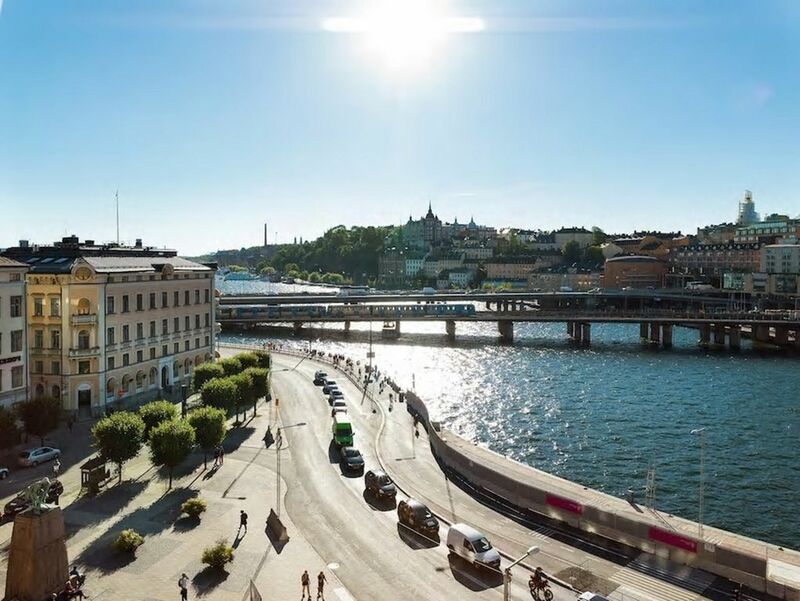 Bright one bedroom apartment with a beautiful view of the Slussen area, The living room has a sofa bed, TV, armchair, dinner table and chair. The kitchen is fully equipped with cooking hob, fridge, microwave, coffee maker and dishwasher. The bedroom has a double bed, bed linen and towels and bathroom with bathtub. Gamla Stan is like a living, pedestrian-friendly museum, filled with sights, restaurants, cafés, bars, and places to shop. The narrow, winding cobblestone streets, with their buildings in different colours, give Gamla Stan its unique character. Västerlånggatan and Österlånggatan are the district’s main streets, but head off the beaten track to get the true feel of the island. There are several beautiful museums and attractions here, for example, the Royal Palace. Lately, Gamla Stan has become a virtual gastro-island, with quite a few excellent and award-winning restaurants to chose from. Classic Travel was founded in 1994, the company is a privately owned tour operator who rents out furnished centrally located apartments in Paris, Rome, Stockholm, Amsterdam, Costa del Sol, Thailand, New York and Los Angeles from 1 night up to several years. Our customers range from private travellers to leading schools/universities and multinational companies. The company also arranges market-leading travel & tours to Thailand, Malaysia, Indonesia, Cambodia, Myanmar, Vietnam, Dubai, South Africa and Mauritius. Classic Travel is one of Sweden’s oldest tour operators and has made legal travel guarantees – all for your safety. Classic Travel has offices in Sweden, France, Spain, Thailand and the United States. Our business idea is to arrange trips to destinations that we love ourselves. With us, you get the best possible service in a slightly more familiar manner. Classic Travel is growing steadily and we have both a Swedish and international sales department. Brilliant location. Close to restaurants and bars as well as sight seeing. Brilliant location. Lots of shops and restaurants near by. Enjoyed sitting outside cafe having Fiska in the sunshine. Comfortable 1BR (queen bed) apartment at the top of a historic building with elevator in Gamla Stan. Very quiet, well equipped galley kitchen, nice bathroom, comfortable sitting room. Short walk to Gamla Stan metro station, one stop from the central station that connects to the airport. Short walk to Sodermalm and to ferry to Skeppsholmen and Djurgarden. Office for the lessor is in the same building so checking in and out was extremely easy and the people were friendly. Would absolutely stay there again.